Anytime is a good time to refactor your code. Java 8 has a few new features which should help you write more dynamic code. Of course one of the big features was the addition of a lambda syntax. But what about some of the other features that were added? Here are a couple of things that I tell people to do in order to make their code more dynamic and more functional. Python's simplicity makes it accessible to learners and teachers alike. Download a free copy of Python in Education. Editor’s note: this is an excerpt from Python in Education, a free report written by Nicholas Tollervey. I am going to answer a very simple question: which features of the Python language itself make it appropriate for education? This will involve learning a little Python and reading some code. But don’t worry if you’re not a coder! This chapter will hopefully open your eyes to how easy it is to learn Python (and thus, why it is such a popular choice as a teaching language). Intuitively, we understand that the main tasks are broken down into sub-tasks that are indented underneath the main task to which they relate. This makes it easy to see, at a glance, how the tasks relate to each other. What to expect at OSCON 2015. Twenty years ago, open source was a cause. Ten years ago, it was the underdog. Today, it sits upon the Iron Throne ruling all it surveys. Software engineers now use open source frameworks, languages, and tools in almost all projects. Microservices optimize evolutionary change at a granular level. We just finished the first O’Reilly Software Architecture Conference and the overwhelming most popular topic was microservices. Why all the hype about an architectural style? Microservices are the first post-DevOps revolution architecture. The DevOps revolution highlighted how much inadvertent friction an outdated operations mindset can cause, starting the move towards automating away manual tasks. By automating chores like machine provisioning and deployments, it suddenly became cheap to make changes that used to be expensive. Some architects properly viewed this new capability as a super power, and built architectures that fully embraced the operational aspects of their design. The Microservice architectural style prioritizes operational concerns as one of the key aspects of the architecture. Microservice architectures borrow a design aesthetic from Domain Driven Design called the Bounded Context. A bounded context encapsulates all internal details of that domain and has explicit integration points with other bounded contexts. 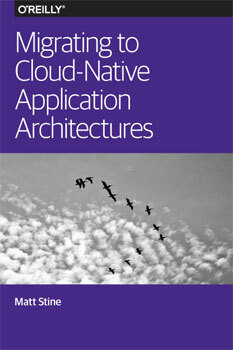 Microservice architectures reify the logical DDD bounded context into physical architecture. For example, it is common in microservice architectures for services that must persist data to own their database: members of the service team handle provisioning, backups, schema, migration, etc. In other words, in microservice architectures, the bounded context is also a physical context. But that also means that this service implementation isn’t coupled to any other team’s implementation, clearing the path for independent evolution. I recently published some writing about the recent realization that architecture is abstract until operationalized. In other words, until you have deployed an architecture and upgraded parts of it, you don’t fully understand it. Five things we learned from the O’Reilly Software Architecture Conference 2015. 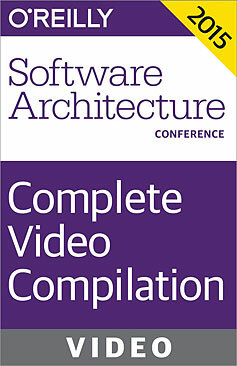 Buy O’Reilly Software Architecture Conference 2015 Complete Video Compilation. Last week, I had the opportunity to see the first Software Architecture Conference spring to life after a winter of preparation. 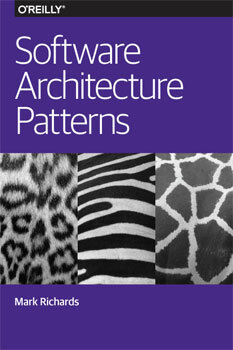 Software architects, with or without the official title, swarmed the halls learning from speakers and attendees alike. I count myself among the people who were learning. Many notions about this profession and skill set have become clearer to me and I’m already planning to keep the content coming. 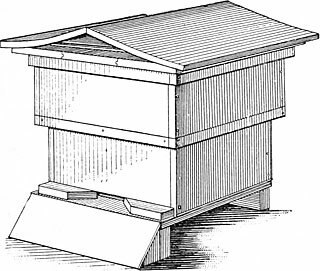 I’m also in the early stages of developing out the next Software Architecture Conference (spring 2016). Within this piece you’ll find my takeaways and lessons learned from the event. I expect these initial impressions to both shape our upcoming exploration of software architecture and be shaped by continued shifts within software architecture.